If your family has lots of devices to charge or someone on your shopping list does, this would be a great deal to grab! You can get the HITRENDS Charging Station Dock for only $32.99! That is a HUGE savings of 82% on this purchase because this charging station dock is normally $184.99! Make sure that you snag this deal on Amazon soon because the prices can change at anytime! 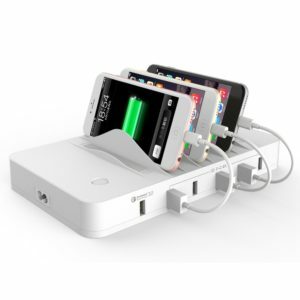 CLICK HERE TO ORDER the HITRENDS Charging Station Dock for only $32.99!